Promotional sunscreen is a must have for any outdoor event. 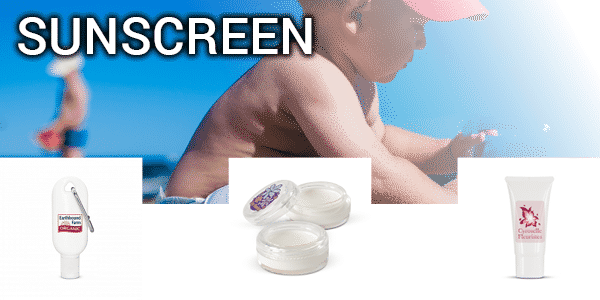 Sunscreen is one of those promotional product ideas that everyone needs. From small branded single-use personal sachets through to larger dispenser packs which will serve the whole team. 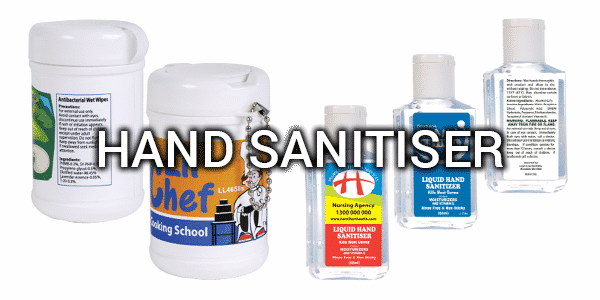 Our extensive selection of promotional hand sanitiser, gels and wipes are all supplied complete with custom logo printing and make a personal gift which shows your company cares about the spreading of germs. Promotional hand sanitisers are great for kids to teach them healthy habits. Promotional first aid kits are items which nobody will dispose of and which sometime in the future emerge to save the day. There are first aid kit styles available for all marketing needs at a range of price points. Print your company information and logo, and when an accident or emergency happens your stocks will rise. With plenty of emergency kits to choose from there’s something here to suit every marketing need.